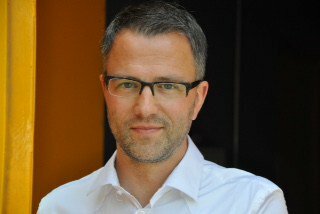 I’m very pleased to welcome author Thomas Enger to the blog today, as he shares his thoughts on whether writing gets any easier. His latest novel, Cursed, is the fourth to feature crime reporter Henning Juul and is published by Orenda Books and translated by Kari Dickson. You can order online from Amazon here or directly from Orenda’s new online bookstore here. All reviews I have seen so far have been glowing and I’m looking forward to reading it soon. What secret would you kill to protect? When Hedda Hellberg fails to return from a retreat in Italy, where she has been grieving for her recently dead father, her husband discovers that his wife’s life is tangled in mystery. 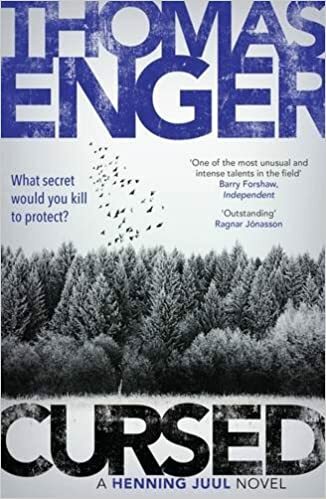 Hedda never left Oslo, the retreat has no record of her and, what’s more, she appears to be connected to the death of an old man, gunned down on the first day of the hunting season in the depths of the Swedish forests. Henning Juul becomes involved in the case when his ex-wife joins in the search for the missing woman, and the estranged pair find themselves enmeshed both in the murky secrets of one of Sweden’s wealthiest families, and in the painful truths surrounding the death of their own son. With the loss of his son to deal with, as well as threats to his own life and to that of his ex-wife, Juul is prepared to risk everything to uncover a sinister maze of secrets that ultimately leads to the dark heart of European history. I guess when you work hard at something you eventually get better. At least, that’s my goal when I’m writing. I want each book to be better than the last one, and I am confident that I have achieved that goal with my first three novels (Burned – 2011, Pierced – 2012, Scarred – 2013). YES, because I have learned a lot during the years I’ve been an author, working almost day and night on my Henning Juul series. I am more aware now of the tools a crime writer has at his or her disposal. How to build a character, how to build a story, how to end a chapter in a manner that makes the reader think “I have to read one more chapter before I turn off the light.” I know more instinctively when plot elements or characters are good and when they’re not. That means I become a lot more efficient when I’m working. It does get easier to produce pages that are good, or at least half way decent. That doesn’t necessarily mean those pages will remain in the story. And this is where the NO part comes in. It gets harder and harder each time to create a plot that meets the requirements and expectations of the genre. The standard of crime novels published today is so high, and there are so many extremely talented crime writers out there. To be able to stand out in a genre that has really excelled during the last ten years, you know, as a writer, that you have to be brilliant. And to be brilliant on cue is not an easy exercise, let me tell you. It’s like trying to invent the next big Apple product that will blow away the competition with the ghost of Steve Jobs looking over your shoulder. You know you have to raise the bar. And the bar, when it comes to crime fiction nowadays, with writers like Gillian Flynn and John Hart out there (to name but a very few), is extremely difficult to surpass. I would even claim that it’s more difficult to write a good crime novel now than what it was when I was first published back in 2010. Don’t get me wrong, there are a lot of GOOD crime novels out there. I’m talking about the GREAT ones. The ones that people remember and talk about even years after they were published. So how do you write GREAT crime novels? I don’t know. God knows I wish I knew. What I do know is that every time I start a new novel, that’s my goal. That’s my motivation. Also; that’s what I think I will be able to accomplish each and every time I sit down at my computer. Don’t get me wrong, I’m not complaining. Not for a second. I push myself every day in order to become better at what I do. I am so fortunate to be able to do what I love most in life. What’s there to complain about? It can, of course, get to you if you feel like your stories aren’t progressing the way you want them to. The key for me in situations like that is to just keep writing. I don’t expect anything I write to be gold right off the bat. I am not afraid to write something that stinks. It is a lot better to have some material to work with than nothing at all. As the old saying goes, writing is re-writing. No authors are brilliant the first time. Brilliant – and yes, I’m already tired of mutilated bodies! As you know, I don’t like gore so I’m the same. Check out this guest post by author Thomas Enger via the Portobello Book Blog.